1 edition of The Gothic and Anglo-Saxon gospels in parallel columns with ... found in the catalog. Add another edition? 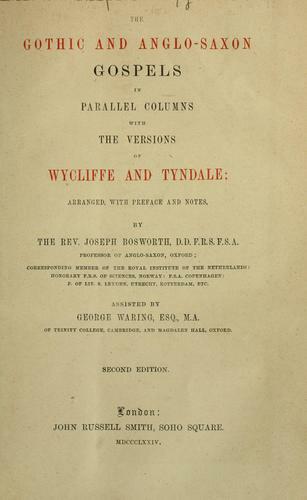 Are you sure you want to remove The Gothic and Anglo-Saxon gospels in parallel columns with the versions of Wycliffe and Tyndale from your list? 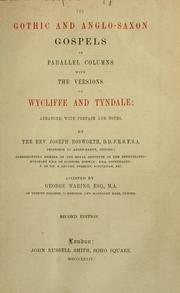 Published 1874 by John Russell Smith in London . Bible. N.T. Gospels. Anglo-Saxon., Bible. N.T. Gospels. English.